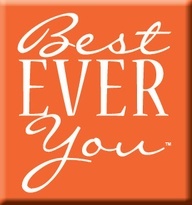 The Best Ever You Network - Why Did We Give The Book of Afformations the Best Ever You Blue Ribbon Award? I am proud to issue Noah St. John our Best Ever You Blue Ribbon Award for Excellence. It's no secret. Sometimes I read the back of the book first to see if I want to read the rest of it. I love to read the behind the scenes of what it took to write the book and who helped so I can really understand the work and effort behind it all. That was Chapter 17 of this book for me. I've done this with author Noah St. John and I find him to be a game-changer and life-changer. 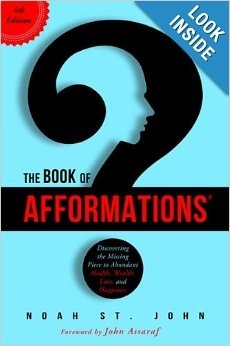 I absolutely love The Book of Afformations and his message. Noah will show you, by asking the right questions, an entirely new way of thinking. His method reverses years of negative self-chatter and image and erodes self-doubt. Afformations are proven to help you discover ways to create more abundance in your life. 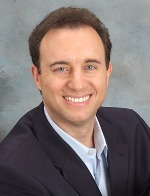 Noah St. John is famous for inventing AFFORMATIONS® and and creating high-impact, customized strategies for fast-growing companies and leading organizations around the world. His sought-after advice is known as the “secret sauce” for creating superstar performance in high-growth businesses. Hay House author, Elizabeth Hamilton-Guarino, founder and CEO of the Best Ever You Network, understands firsthand the challenges life can bring and has worked with thousands across the globe to illuminate their light within and help them live their best life. She has a degree in communications and broadcasting; is a life coach, food-allergy expert, and anaphylaxis survivor; and is the host of The Best Ever You Show, which has over one million downloads. Elizabeth took a huge leap of faith in 2009 to leave a seventeen year career in the financial services industry to start The Best Ever You Network and become a talk show host and author. Elizabeth is the author ofPercolate - Let Your Best Self Filter Through (Spring 2014, Hay House). Elizabeth lives in Maine with her husband Peter, their four boys, four cats and massive Labradoodle.